They always say that good things come in small packages, though we’re not sure anything as good as the 2017 Buick Verano is available in a small sedan. This sedan is built to surprise and delight, shattering every expectation that you have about driving something this compact. Wherever you’re driving around Vancouver Island, you can get there in this powerhouse. It is exciting to drive, whether you’re on the highway or in downtown Victoria. The Verano also handles well, exceeding anything you thought possible. The moment you see the new Verano you’ll want nothing more than to jump inside. It is bold and beautiful to create a distinct and memorable exterior appeal. 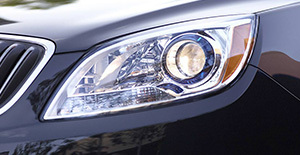 The waterfall grille is the centerpiece of the front fascia’s, and rightly so. Be prepared for everything to change when you sit behind the wheel, because the smooth drive, great handling and aerodynamic design combine to create a vehicle you’ll never want to get out of. We bet you didn’t think you’d be able to find something so versatile in a compact sedan! But you can truly have it all in the 2017 Buick Verano at Jenner Chev. Come in today to take one for a test drive and see how capable it really is. We know you will want to drive across the island the moment you sit behind the steering wheel. Our sales team wants to help you find your perfect fit, including trim level, so come in today and find out what vehicle is best for your lifestyle. We also offer a wide range of used Buick Veranos including 2016 and 2015 model years. The standard engine on the 2017 Verano is a powerful 2.4L DOHC 4-cylinder SIDI with VVT. This engine is paired with Buick’s 6-speed automatic, electronically controlled transmission that has overdrive and Drive Shift Control. With its FWD you get a great 180 horsepower, this is pure power in a compact sedan. You won’t have to worry about filling up either with a fuel efficiency of 7.6L/100km highway. The engine was designed to be quiet and smooth too, this is because Buick sprayed an extra layer of lubricant onto each piston. One of the best things about your Verano is equipped with Advanced Diagnostics, these analyze your vehicle’s key systems and can send you real time texts! The interior of the Verano is ready for you to be fully immersed in. There are a wide range of features that make you feel right at home. Every single Verano comes with premium fabric inserts with leatherette bolsters, and the driver and front passenger seats are 8-way adjustable too. Your audio system contains a standard infotainment display and six speakers. From the base level, you can add two convenience packages, the Convenience 1 and the Leather, each of these adds to the already outfitted Verano. 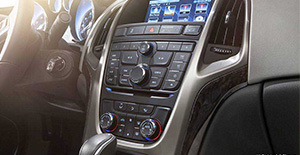 There are also available features like OnStar 4G WiFi, 9-speaker Bose systems, SiriusXM Satellite radio and Bluetooth connectivity. 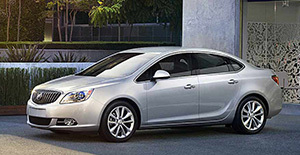 The 2017 Buick Verano is packed with standard safety features, From the base, there are 10 standard airbags including knee for drivers and side impact. You also get standard OnStar Basic for 5 years. The LATCH safety system will keep your child’s safety seats in place. If you want to take safety to a new level then add one of the driver confidence packages. 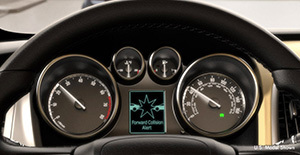 These add features like Forward Collision Warning, Lane Departure Warning, Rear Cross Traffic Alert and Side Blind Zone Alert. Your safety is important to Buick and that’s why they designed every piece of your 2017 Verano with safety in mind. We know you might want your 2017 Verano to do more, that’s why we stock a huge number of parts & accessories. If you’re looking for something, contact us at Jenner Chevrolet Corvette Buick GMC in Victoria, BC. We offer a wide range of genuine Buick OEM parts, so you can find anything that you might need for your amazing compact sedan. At Jenner Chev, we also stock so many accessories you won’t even know where to start. We want your Verano to be perfect, so come by today and get it outfitted right. You can even start right now by filling out our convenient online parts request form.